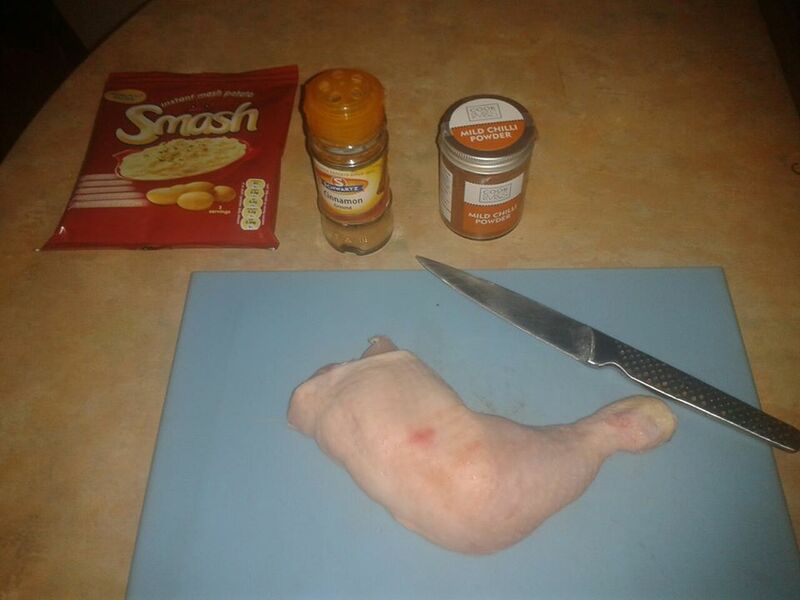 Once again I was running out of ideas for my next ‘food experimentalist’s adventure’ and had to beg my Facebook page to hand me free ideas; the excellent Kirsty Long suggested I cook with “Smash (or any other brand of instant mash)”. 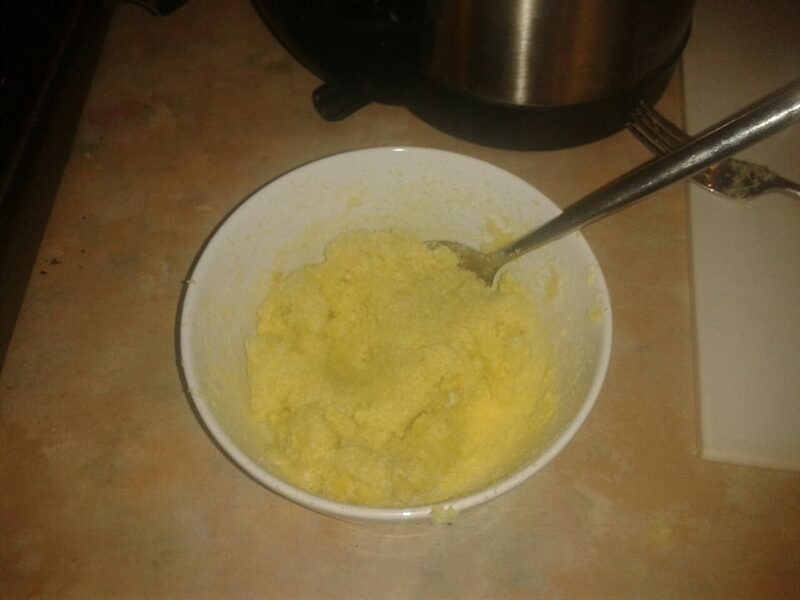 After returning from my trip I got thinking hard about what to do with smash: simply making them into mashed potato was not an option. 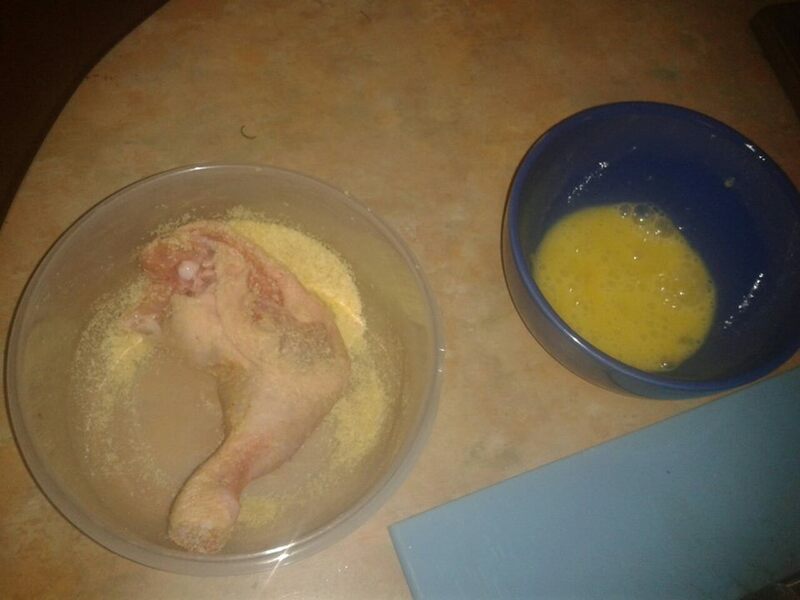 I will fry this in a frying pan just to crisp up the skin and will then transfer to my professional chef’s kitchen oven for about 15 mins at 150C to finish cooking. 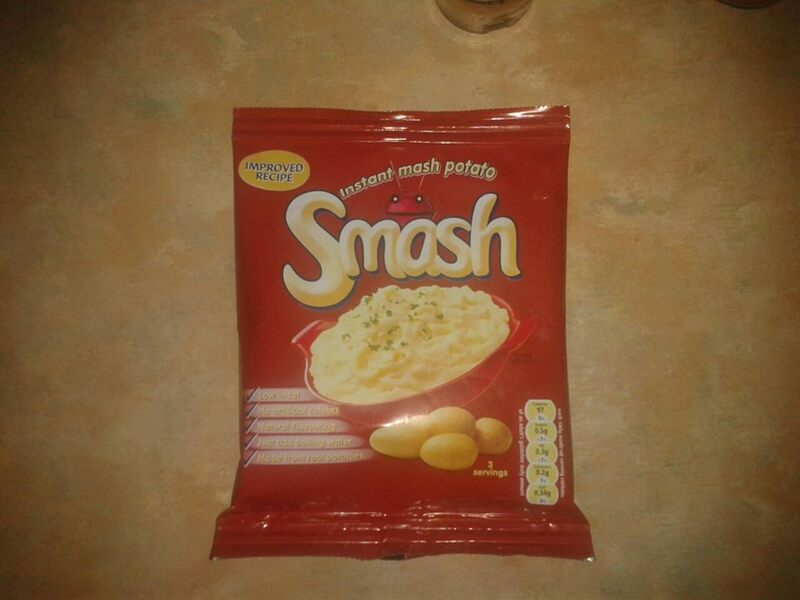 Anyway, I shape my Smash Chip mix into, erm…. ….massive maggot shaped mumified cocoon things. Total result! Well well well, it turns out that Smash Chips are pretty goddam amazing! Light, crunchy, fluffy; all kinds of win… the chicken is also gloriously awesome: flavourful, crunchy, nom nom nom. 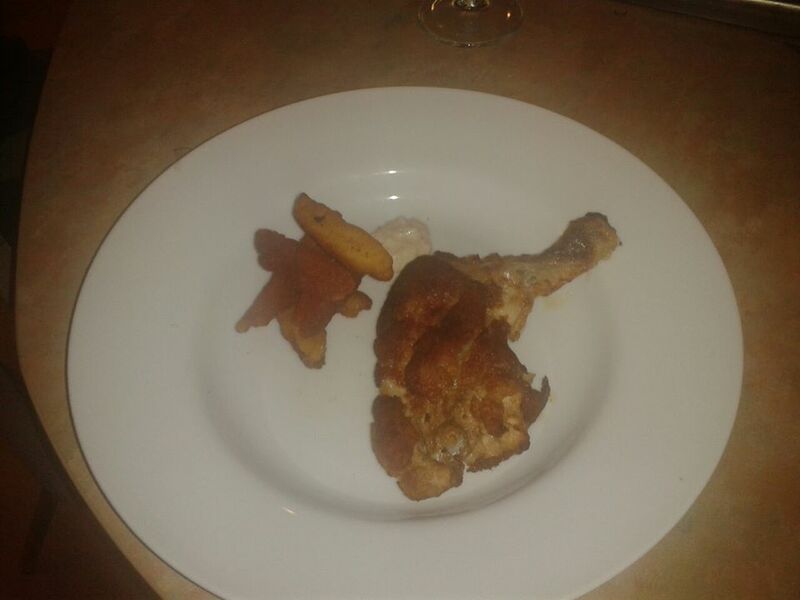 Overall, the combination of super crunchy chips with the southern fried chicken and sauce is absolutely ridic! This is a contender for best recipe on the blog. Wooohoooooo! 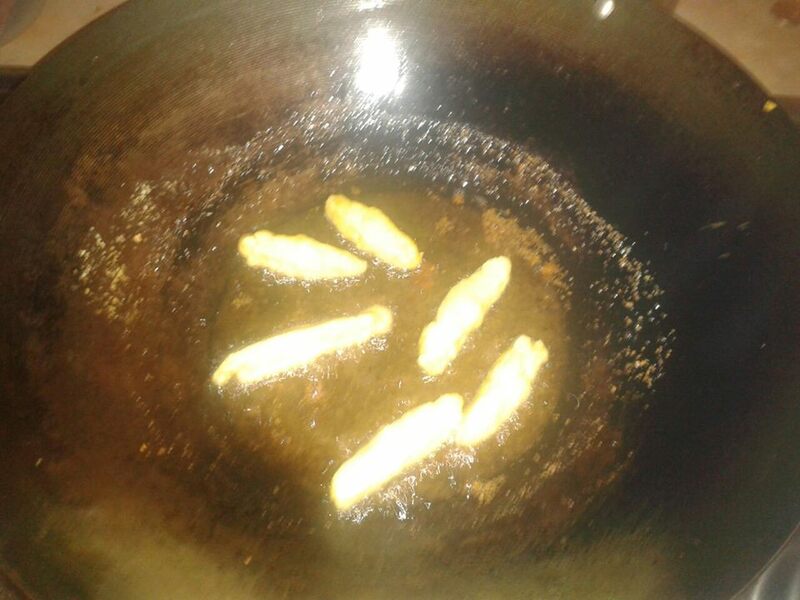 In summary, Smash turns out to be a pretty epic ingredient and one which you can use to make a very cheap bunch of chips and also works as an amazing breadcrumb-esque topping for fried food! Who knew! So, If you are a massive fan of Smash, or even if you dig this take on Smash, head over to my facebook page and tell other food dorks! There you go…who new smash would make amazing chips..
Wow might even try this one, lol I think the chicken coating would be quite good and I am unsure about the chips as we have a different brands in Australia and I think the chips might not turn out as well. I dont know. powdered chip is powdered chip. I think it would work out just fine. I say give it a go, super tasty! 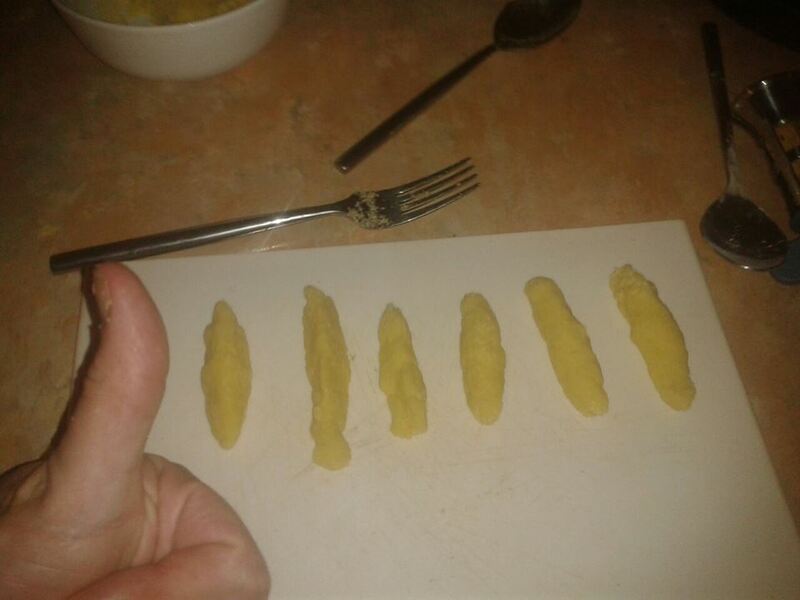 hahah, I feel sick reading about it, but well done brother for thinking this recipe up !